James White Drinks Beet It Beetroot Stamina Shot is rated 4.2 out of 5 by 6. Rated 1 out of 5 by Jojo29 from Be cautious I generally love beetroot but this juice caused unpleasant nausea and vomiting. I finished the shot and felt really unwelll within just 10 minutes. Not sure if it was the concentration or maybe a bad batch. Never again! Rated 5 out of 5 by Bille44 from These shots are outstanding. 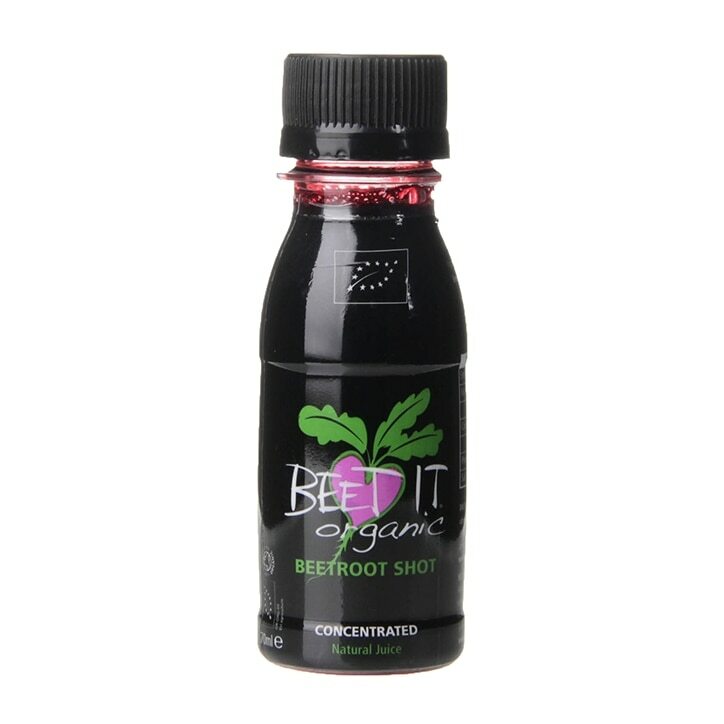 Tiny bit pricesy, however if you don't like beetroot but want the nutritional content, these shots are perfect. The delivery of my Holland & Barrot orders are rubbush, no care is tajen they are just thrown in a box. Rated 5 out of 5 by Leityij from Brilliant but expensive! Love the small bottles for one shot and product definitely works but why so expensive! Rated 4 out of 5 by Joanne2009 from Tastes great! I bought this to help with my running and I have not used them enough yet to notice a real difference, but research suggests beet root really helps with exercise performance. Tastes great too, although a bit expensive to use on a regular basis. Rated 5 out of 5 by runner560 from Great stuff!! I bought this to take before training sessions(10 mile runs) and it does give you an extra boost which is very noticeable. I was unsure about buying it due to not particularly being keen on the taste of beetroot but I need not have worried as its not to bad.